After several decades in scientific purgatory, language evolution has reclaimed its place as one of the most important branches in linguistics. This renewed interest is accompanied by powerful new methods for making empirical observations. 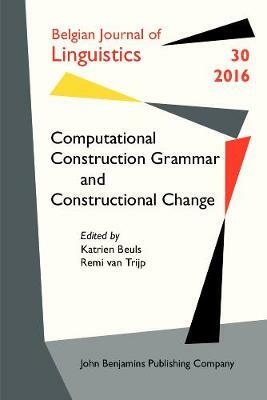 At the same time, construction grammar is increasingly embraced in all areas of linguistics as a fruitful way of making sense of all these new data, and it has enthused formal and computational linguists, who have developed sophisticated tools for exploring issues in language processing and learning. Separately, linguists and computational linguists are able to explain which changes take place in language and how these changes are possible. When working together, however, they can also address the question of why language evolves over time and how it emerged in the first place. This special issue therefore brings together key contributions from both fields to put evidence and methods from both perspectives on the table.